In anticipation of today's tilt between the New England Patriots and the Los Angeles Rams, we asked a Carleton University cognitive science professor to break down all the reasons the Super Bowl — or any other big match, for that matter — makes our brain light up. Whether you've been counting down the days to Super Bowl Sunday, or merely thinking about maybe catching the game with some friends, there are reasons it's become one of the most anticipated TV events in the world. And according to Carleton University cognitive science professor Jim Davies, it has everything to do with your brain. 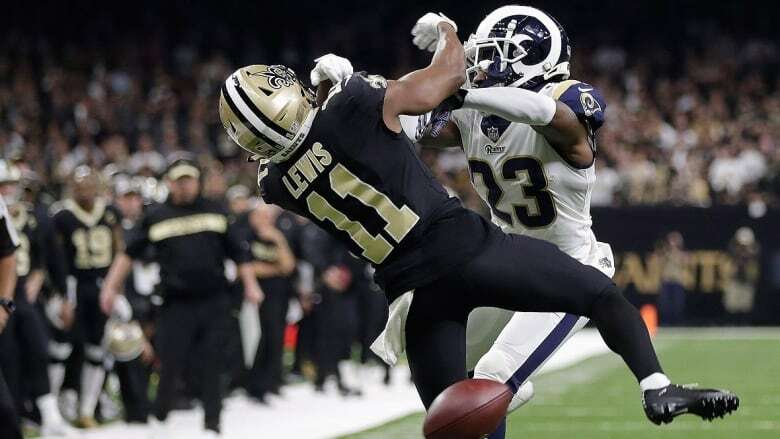 In anticipation of today's tilt between the New England Patriots and the Los Angeles Rams, we asked Davies to break down all the reasons the Super Bowl — or any other big match, for that matter — makes our brain light up. The brain's "mirror neurons" give people a vicarious thrill, Davies said, by making us feel like we're actually playing whatever sport we're watching. "You might experience your body twitching when you watch a particularly hard impact ...and that's your body reacting," he said. "People like to watch virtuosity in many forms. We love seeing people doing things at the highest level. We get a vicarious pleasure out of it, to the point our brains make us feel like we're doing it." Davies also thinks part of the reason we're so invested in sports figures' exploits has to do with how evolution played out. "We didn't evolve to have televisions. So our minds are kind of fooled into thinking that these were people in our community," said Davies. "And there seems to be a drive to pay attention to the most powerful [person] in your community, because knowing what they're like and how they do things and who they're sleeping with and everything is really important." Basically, Davies says our brain is wired to believe that celebrities and sports heroes are our leaders — and "celebrity culture kind of takes advantage of that." 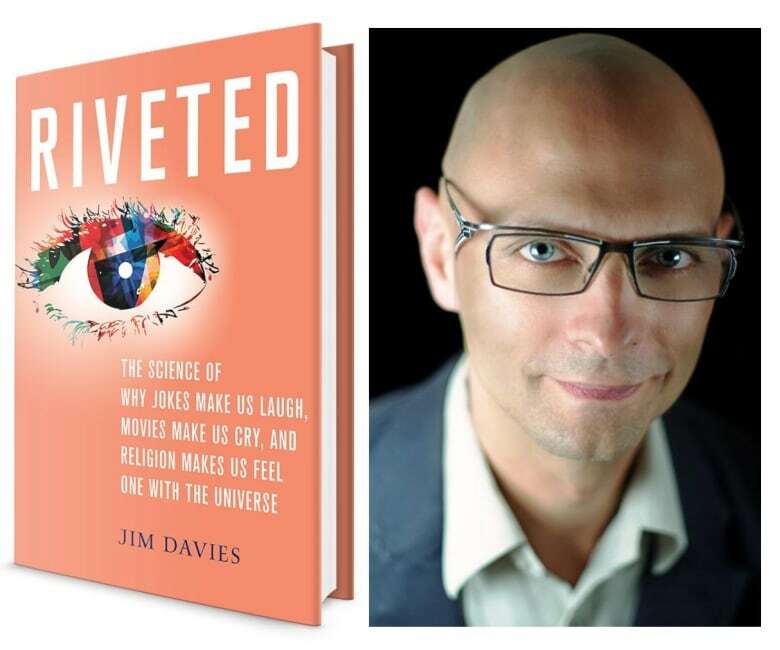 Carleton University professor Jim Davies is the author of Riveted: The Science of Why Jokes Make Us Laugh, Movies Make Us Cry, and Religion Makes Us Feel One With The Universe. Humans are also the only creatures who build connections with people they've never met, based on the "abstract idea" of sharing the same broad geography, Davies said. "Just merely the association of your team with a city — I think it stirs something very primal inside us," he said. There's also the fact that — when it comes to friendship and making connections — men seem to prefer being part of social groups more than women do, Davies said. "It appears [that] women are more generally more interested in intimate one-on-one relationships," Davies said "And men are more [interested in] grandstanding to impress the group. So based on that, you might predict that men might like group sports more — and it turns out they do." Finally, there's the fact that sports like football reflect humanity's more primal nature. "Most sports actually take advantage of skills that would be important living in the wild, [like] running, chasing, throwing, fighting, leaping," Davies said. "So one reason why you might be attracted to this particular kind of virtuosity is that it is an indicator of genetic fitness particularly in a wild environment."